Don’t miss NYGASP’s all-new production of The Mikado, featuring costume design by Quinto Ott, set design by Anshuman Bhatia, conceived and directed by David Auxier, and produced by David Wannen. The history and inspiration for the writing of The Mikado is center stage as we combine the real life characters of Victorian London’s D’Oyly Carte Opera Company with the imagined setting of Titipu, influenced by the art and architecture of Japan that had recently reached England in the late 19th century. At the outset, you’ll meet Messrs. Gilbert, Sullivan, and D’Oyly Carte themselves, and join them on a fantastic voyage to a land where the timeless libretto, beautiful music, and all of your favorite characters await! There are the three little maids from school, a wandering minstrel, a hilariously corrupt public official, and a Lord High Executioner with a list of offenders deserving of his services, including himself – for flirting! At the heart of this tale is a love story: a beautiful school girl loves the romantic wandering minstrel, but she is engaged to the executioner. This romantic triangle takes the usual course of thwarted love, until the arrival of a fearsome noble woman claiming the minstrel as her “perjured lover”, and later of the emperor himself, with his own list of punishments to fit the crime. This all-new, critically acclaimed production of The Mikado premiered in New York at The Kaye Playhouse in January of 2017. The production represents a great deal of work between NYGASP and the Asian-American theatrical community in New York; and serves an example of a cooperative effort to promote diversity, equity and inclusive practice with classic works of art. From the advisory committee to the creative team, the production is a wonderful result of people listening to each other and working through problems and differences. 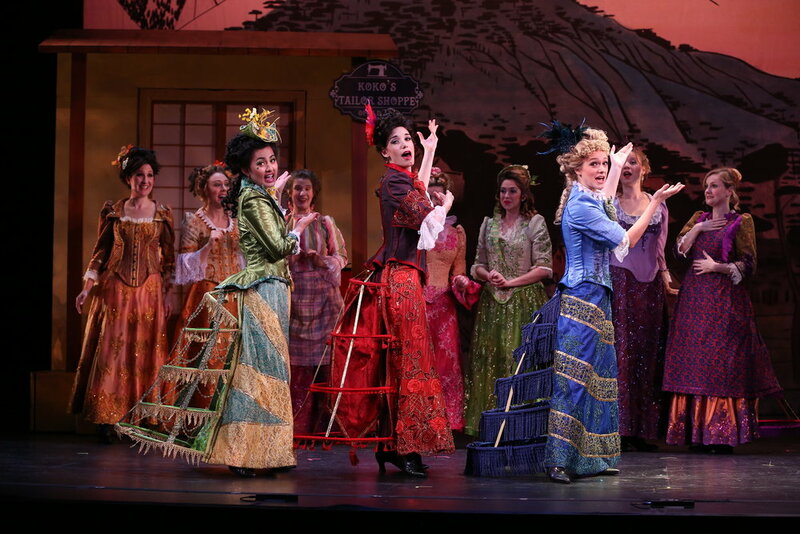 The production starkly contrasts historical treatments of The Mikado in several ways. 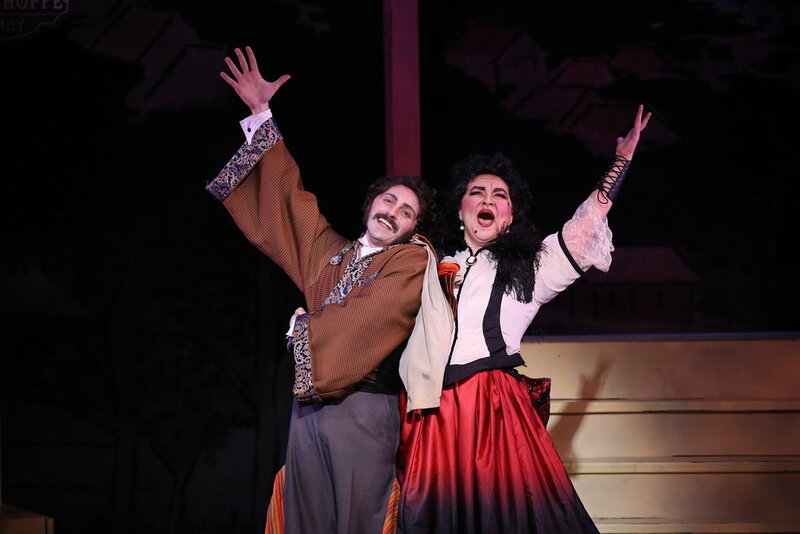 A NYGASP original prologue, written by director David Auxier, is introduced that provides the audience with a context for the work, primarily highlighting Gilbert’s influences from the Japanese and setting up the in-dream setting of The Mikado itself. The character representation onstage- from the principals to the chorus- are of a decidedly Victorian English company, with fantastical highlights and juxtapositions between an imagined Japan and anachronistic elements from 1880’s London; fueled only by Gilbert’s own imagination. This production actively seeks diversity in its casting, welcoming performers of all backgrounds to share the magic of Gilbert & Sullivan with audiences from all backgrounds as well.